Spring (known outside the United States and in subsequent reissues as American Spring) is the first and only album by American pop duo American Spring (then known as “Spring”) released in July 1972. Largely ignored at the time of its release, it has now come to be seen as a valuable collector’s item due to Brian Wilson of The Beach Boys’ participation. Spring was largely tracked in Brian Wilson’s home studio in Bel Air, California from October 8, 1971 to May 1972, engineered by Stephen Desper. The track for “Good Time” was sourced from an outtake from the Beach Boys’ album Sunflower and was recorded on January 7, 1970. Stephen Desper and David Sandler oversaw the recording of the majority of proceedings. Statements by Desper have estimated Brian’s contributions at around 5%, but Desper added “5% of Brian Wilson is equal to 100% of anyone else” noting that whenever Brian did work, it would be a substantial contribution due to his proficiency in the studio. 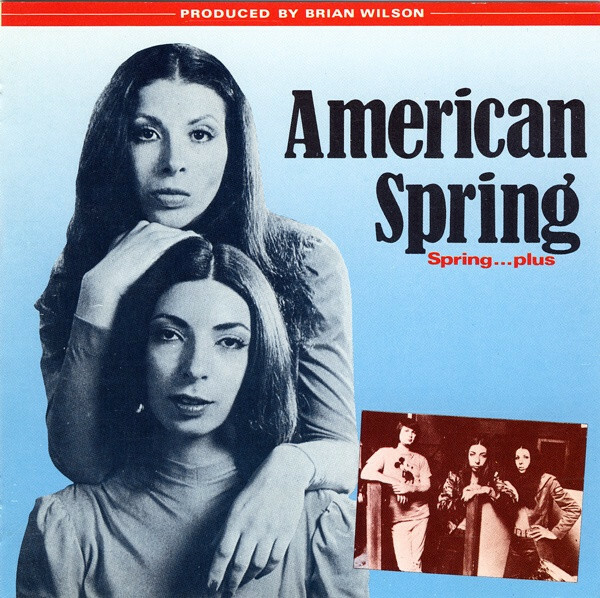 Marilyn Wilson of American Spring and former wife of Brian Wilson disagreed with Desper somewhat, recounting Brian produced “about a quarter” of the album, a statement that Diane Rovell agreed with.